There are not many people I will happily take my hat off for in this world. But the Swiss people are among those few. In a sea of despotism these people have maintained an island of liberty even into the modern age of the all-intrusive State. Just going on a visit to Switzerland is an eye opener for the average European — especially the British. Time and again in my conversations while there, or with clients who bank, have lived, or just go there on holiday, the same conclusion has been drawn: everything Swiss is like the very best of other countries, only better. It is pretty much the only major country in Europe where things just work and get done as they should, with a minimum of fuss and dead on time. Second class trains, for example, are better in Switzerland than many first class trains in the UK. I'm not a fan of mass transportation as a rule, but in Switzerland there are many private companies and it makes sense considering the terrain and weather. It is also a very great pleasure, not just because of the trains and the scenery, but because of the almost complete absence of ill-mannered people — there is no "riff-raff" element whatsoever. The British are beset by riff-raff — which frankly makes any use of public transport not only ideologically undesirable, but also socially so. This subject came up while I was on a boat in the middle of Lake Geneva, in a discussion with a Swedish man on holiday with his family. He claimed — having lived in both the UK and Sweden — that things were even worse in his country. I still find it hard to believe, but after numerous illustrations on both sides, we more or less called it a draw. The EU bureaucrats hate them. The Swiss are both outside the EU and represent the opposite of the top down Nazi/Commie combination agenda they ultimately stand for. Switzerland didn't even join the UN until seven years ago and then only by the narrowest voting margin. Pick almost any area of society and the Swiss do it their own unique way — with at least a splash of liberty thrown in. Fire departments are one example — run by local volunteers in most places out of town. The only other place I know of with that kind of voluntary public service would be some small towns in America. Guns and the military are yet another example. Guns are everywhere — and crime is nowhere. In fact they have at least two of the most peaceful, crime-free cities in the world — according to various online authorities. Zurich even has a half-holiday in October for the "boy shooting" contest and American-style fair where young boys — and girls too — compete with assault rifles at targets. Their defensive militia was feared even by Hitler and has stayed where it belongs — at home — without barging around the world murdering innocent people who get in the way. Somehow they have been protected without pre-emptive murder or decimating their families around the world. Then there is Swiss banking; that bastion for something like a third of the world's cross-border invested private wealth. The Swiss stance on bank secrecy might best be described as neutrality, in the war of States against their citizens — with private leanings in favour of the oppressed citizens. If there is anyone in the world I would trust with my money it would be one of the unincorporated, unlimited-liability Swiss Private Bank partnerships. If I had to choose any other kind of bank, Switzerland would still be at the top of the list, even taking into account several South and Central American countries with, on paper, stronger privacy. All of this entrusted wealth is certainly not due to government, and even the bankers are merely beneficiaries of an environment entirely due to a streak of liberty within the Swiss people. This goes back even beyond the William Tell rebellion of the 14th century. Whether the details of that are myth or not, the popularity of the story reflects the traditional fighting spirit of the Swiss people when it comes to imposition by the State. It goes back into the particularly deep Christian roots of Switzerland — which seems to have had just about the right mix of denominational dissent to have prevented them being absorbed into the State. There is no denying the very Christian nature of the Swiss, both historically and still today — even if misplaced faith in the State is now more of a contender. Swiss politics is interesting in that it is so decentralized. I have heard that the Swiss confederation even acted as a model for the United States. In some local elections voting is done by simply a show of hands in the local village hall or in the open air. In 1978, the region of Jura actually seceded from the jurisdiction of Bern and technically from Switzerland, to be later readmitted in its own right. This could only happen because Switzerland is not really a single country, but a confederation of largely autonomous "cantons" — 26 in all — and these cantons compete amongst each other, such as in providing the most favourable business and tax climate. A visit to the site comparis.ch will show that one of the choices the Swiss people have is the amount of tax they pay. As one example, the canton of Obwalden formerly had one of the higher tax rates, but to compete brought it down to a flat 10% — though cantons Zug and Schwyz are better known for their low taxes. In the south, cantons Vaud, Geneva and the Italian-speaking Ticino are currently lowest. Also, it is perfectly possible for any reasonably wealthy person to cut a special deal with a canton for a much lower rate. In fact, the wealthier the better — the lack of social envy and its politics is unusual and noteworthy. There are also occasional amnesties to provide for tax which is not paid. The evaded amounts are actually lower percentage-wise than the much more oppressive surrounding countries. This can only be due to lower rates, more local accountability and less violent collection methods leading to less resentment and motivation for resistance. Tax evasion, if found out, might land an offender in a somewhat uncomfortable civil action, but it is not a crime. Of course, in recent years the Federal State has made inroads that are unprecedented. This also means that there is now a significant class of federal officials — and therein lies the real threat to the liberties of the Swiss. In addition to the usual busybody motivations, there are ambitious pro-EU infiltrators within the system. For example, the people won't give up their guns — so some politicians are now after their ammunition. Because if they can get it all, the balance of raw last-resort power ultimately shifts from the people to the State, as it did long ago in most other European countries. Then, with the complete legal abandonment of gold in the Swiss Franc a decade ago — although implementation began just 5 years ago, with the support of the Right — the tentacles of the central banking elite are spreading widely. Also spreading far and wide is their stupidity (and/or conspiracy) — such as in massively risky Eastern European loans with the newly created "money". But the establishment has at least been restrained by the decentralized Swiss system, and politicians do not have the unaccountable free hand that those in other countries have. In addition, they can always be held back by the powerful mechanism of a referendum. The Swiss referendum is not a tool of dictators like in some other countries, where the State gets to choose and phrase the question to its own advantage, or to keep asking till it gets the answer it wants. It may potentially be a "majoritarian" tool, but a Swiss referendum can be initiated by any citizen who can raise the required 50,000 signatures. Short of cantons actually seceding, it is this referendum — as well as the restraint that even its threat provides — that is the real hope for Switzerland; because even if less extreme than elsewhere, the Swiss parties have fallen into the trap of the false Left-Right paradigm. The Centre-Left has held the limited reins of consensus power in Switzerland since the 1950s, with a token representation from the Right. The Left may have some strengths, but many weaknesses. One of their main weaknesses is the expansion and intrusion of the State into financial affairs — specifically, taxation. It was the Left therefore that recently caused widespread outrage amongst the Swiss people by appearing to weaken or even abandon Swiss bank secrecy. Rarely had such strong language been used as was later heard in Parliament and rarely, if ever, had words like "treason" been used before of politicians in a mainstream newspaper — La Liberté of Fribourg is well named. The Swiss people themselves remain strongly behind bank secrecy — perhaps 75% of them — and within Switzerland, even the taxman cannot violate this. Yet somehow, to the puzzlement of statists around the world, Switzerland still survives and does so as one of the richest, most blessed and most peaceful countries in the world. The Right does include some overt bigots (the Left having better camouflage), but it also includes some who will stand firm on critical issues. And the Right are rising — which is welcome if only as a counterbalance, despite the inevitable strains of nationalism, regimentation and authoritarianism. Thankfully the Swiss people have often rejected the excesses of both Left and Right, even if they have been unable to quite put their finger on liberty as the sole outcome they are looking for. By and large, for example, they want to be civil with their European neighbours and they don't generally harass foreigners within — but nor do they want other countries or cultures poking them in the eye. Such was the case in recent days, after the French tried to use stolen HSBC Geneva account details to put pressure on Switzerland. A scheduled tax information-sharing agreement has therefore been put on indefinite hold. Long may it be obstructed. Hans Rudolph Merz, the cowering Swiss Prime Minister/Finance Minister spearheading the recent sell-outs, has been forced to show some spine or let his party face the wrath of the voters in coming elections. But here is a key fact: none of the recent information-sharing agreements have been approved by Parliament nor have they been tested in the Swiss courts. Many elements of the UBS debacle (not all bad news) were certainly illegal, and on Friday January 8, a Swiss court ruled as much. On top of this, the youth wing of the Swiss People's Party along with a small party in the Italian speaking canton of Ticino, have been actively gathering signatures for a referendum on the issue of bank secrecy. Best of all, a recent poll has shown that the more Switzerland is bullied to end it, the more strongly the Swiss people support bank secrecy. When even Swissinfo (the Swiss BBC-type federal website) are talking in more than one article of a bank secrecy fight-back, there must be something to it. It was politicians and officials, not the people of Switzerland, who betrayed the account holders that gave Switzerland their trust. Unless their Parliament, judges and courts do likewise — and with the support of the people in a referendum — I do not believe that Swiss bank secrecy is dead. Even as things stand with the new information-sharing agreements, if an account holder can keep the account secret, the Swiss will too. Those agreements, although disgraceful, do not automatically share information — a foreign government would have to first obtain account details, and then lodge a specific information request along with enough evidence. The account holder also has an appeal process within Switzerland. But like Swiss cheese, their bank secrecy does have holes and privacy steps are absolutely essential to retain it. One compromise as recently as in the nineties was to end anonymous accounts. If these were still in place, nobody would care about data theft. But instead, events have confirmed that registration leads to confiscation — in this case of wealth. Other privacy concerns include overseas bank transfers and card transactions which, without precautions, can disclose account details for the world to see. But numbered or pseudonymous accounts are still possible as well as corporate, trust and nominee arrangements — with second passports also being very useful. With such steps in place, the main privacy risk is in the internet activity log recorded at the client's end. Without Practical Internet Privacy steps (part 2) this leaves a record in place that contains the name of the bank and that leads right to the door of the account holder. Ordinary telecoms (except possibly throwaway mobile phones, in an emergency only) and even the post (use a mail drop and/or mail held at the bank) are also now potential giveaways. Other than these privacy measures at the client's end, it now all rests with those 7.7 million people in the Alps, whose ancestors held off even the Nazis. Time will tell whether the current generation have been brainwashed enough to surrender. I don't think so. Join me in praying they will be able to stand — much private wealth depends upon Switzerland as a place of escape and safety. And the Swiss people are going to be tested again — previous compromises have made that a certainty. Just like appeasing the schoolyard bully. But I do expect in 2010 there will be a fight-back. Internal officials and politicians with allegiance to the State, the EU, and/or central-banking globalists will try and dampen it by fobbing the Swiss people off with some rhetoric or window dressing. But I am hopeful there will also be a real backlash. 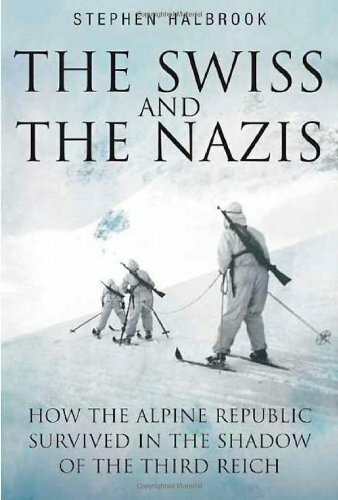 The last time Swiss banking was attacked with such intensity was in the thirties, when France tried to pry open bank accounts, followed by the Nazis. That was when existing bank secrecy was codified into law under penalty of imprisonment. It is in the years since, that Switzerland has become one of the richest countries per capita in the world — with banking and the respected quality products associated with its wealthy clientele, as economic mainstays. It is a different generation now, and I never put all my trust in people — mainly because they are human. But if I had to trust one bunch of people, all in one place at one time — with a fat wad of cash, bullion or gold certificates — it would still have to be the Swiss. I hope many readers will resolve in 2010 to get some sort of Swiss bank account — if only to annoy their governments or to act as a cloud of cover for others. Perhaps start with a small account, preferably locally based and not a multinational — maybe a cantonal bank. Keep it big enough to be respectable and small enough not to be legally reportable ($10,000 in the US), or just enough over to add a little excitement. As a very worst case scenario, in the extremely unlikely event of an investigation, you can even enjoy fighting tooth and nail with the tax collectors — and leisurely decide if or when to cave in, eventually, after they have expended much energy for little or nothing. Then put it down to serving your fellow-man and get a new account. But with basic precautions, there is no reason for this to ever happen and if, as I expect, the Swiss make some amends for the current situation, you will have a very private and useful bastion of private property in place for the future. However, it might be a good idea to keep that particular account small, as a semi-public or "pass-through" account. Depending upon events, you could later put more serious amounts into a different multi-currency or precious metals account, knowing your money to be in the safest possible hands — but still remaining useable for business, investing or trading, unlike a buried cache of gold coins. One other positive thing about Switzerland is that, at many banks, gold is as easily obtained and transferred as foreign exchange. The dynamics of liberty and society are difficult to analyse in the best of times — and especially so in the short term. Nevertheless, I am basing this article on the premise that the Swiss people mean what the recent polls (and many before them) say they do. If you look as most do, at the Swiss government, or listen to the OECD — or even to the new head of the Swiss Bankers Association — then bank secrecy is dead. But Switzerland is not like other top down societies, and I prefer to look at the Swiss people. It is they who will have the last word. P.S. Here is a nice collection of high quality Swiss desktop backgrounds, plus a few more in ultra HQ (warning: these are .zip files).